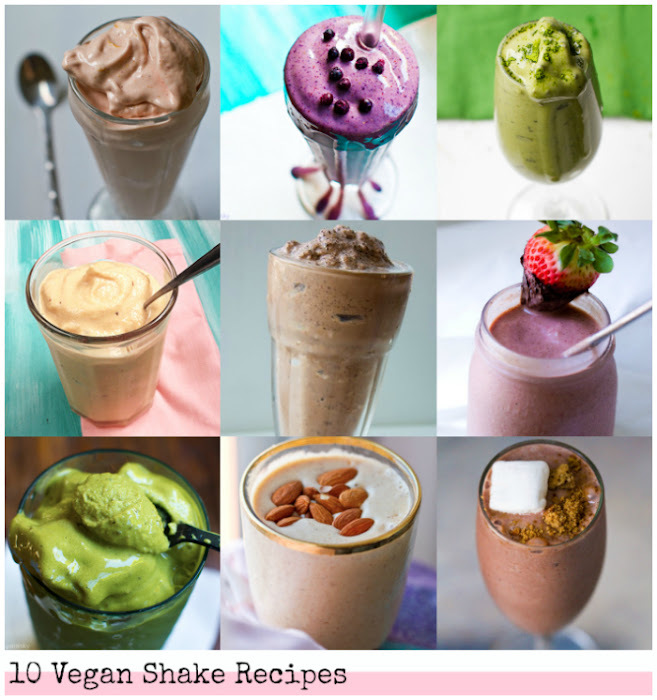 These ten vegan shake recipes will come in handy for those days when spring fever finally hits and all you crave is a sunbeam, your sunglasses and a frosty sweet treat to cool you off and make you smile. Spring. Is. Coming. Do you feel it? That warm feeling on the back of your neck. The squint in your eye and the urge to take off your fuzzy sweater and heavy winter shoes - and frolic around in a tank top and light sandals. It's the feeling of spring! And no matter where you live (sunny LA or breezy Boston) spring fever will catch your glance at some point soon and when it does you'll be wishing you had a tall frosty glass of something to match your sweet-n-sunny mood. I usually reach for a smoothie - or a vegan shake. So here are ten of my favorite vegan dessert shake recipes -..
Matcha Shake with a scoop of vanilla protein powder & a hint of spirulina too. Power shake..
..Want 365 vegan smoothie and shake recipes? 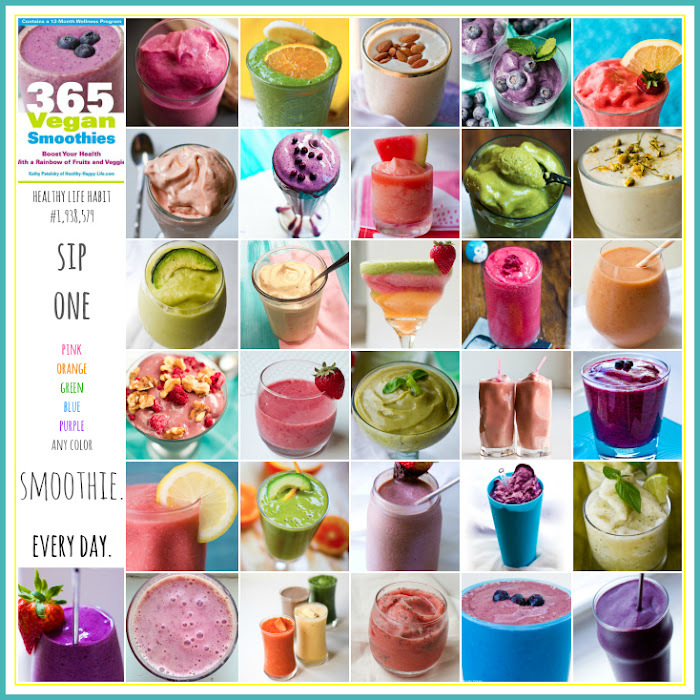 Secure your copy of my new book 365 Vegan Smoothies! 1. Secret Ingredient Matcha Shake. Green and sweet with a cravable, energizing accent of matcha green tea. I make this several times a week! 2. Cashew Ripple Strawberry Shake. Rich and creamy like a strawberry milkshake with a hint of nuttiness. 3. Secret Ingredient Vanilla Shake. This totally yummy vanilla protein shake is made using two frozen fruit ingredients. 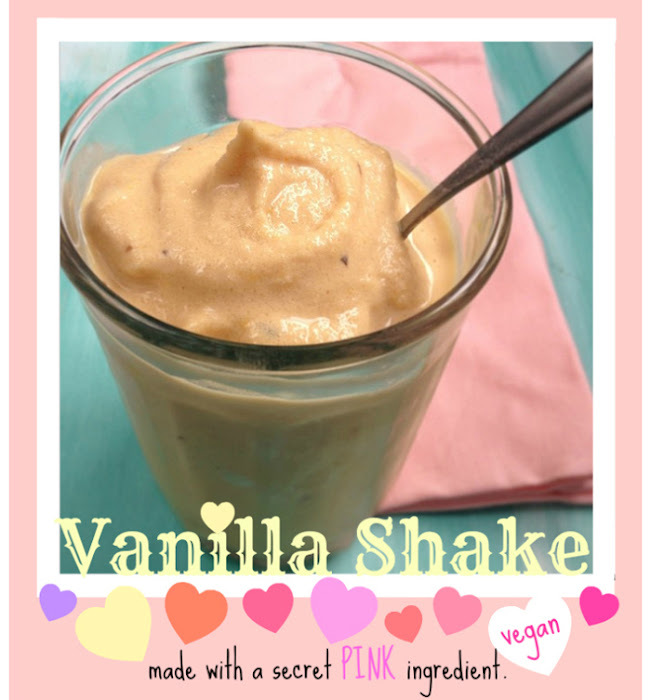 Dairy-free, wellness shake bliss! 4. 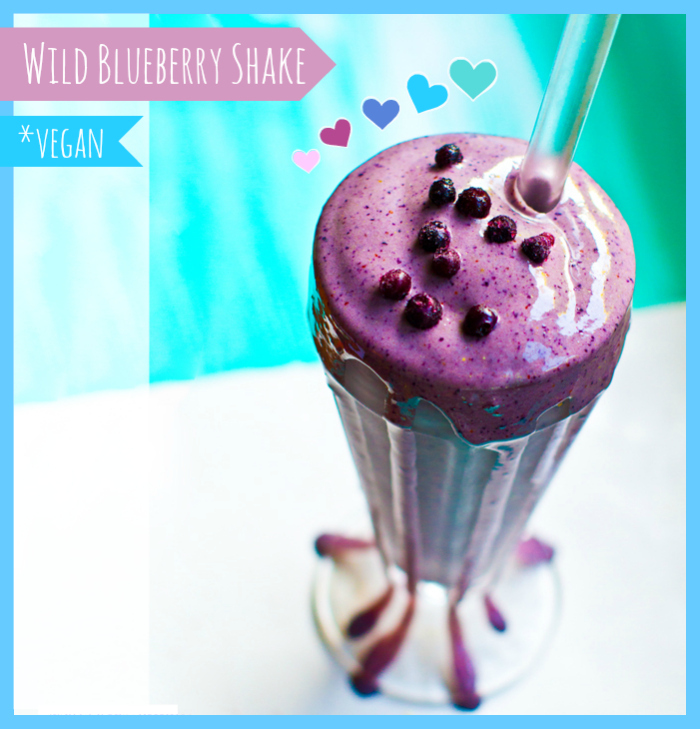 Wild Blueberry Shake. Deep purple color and creamy thick vegan shake texture. 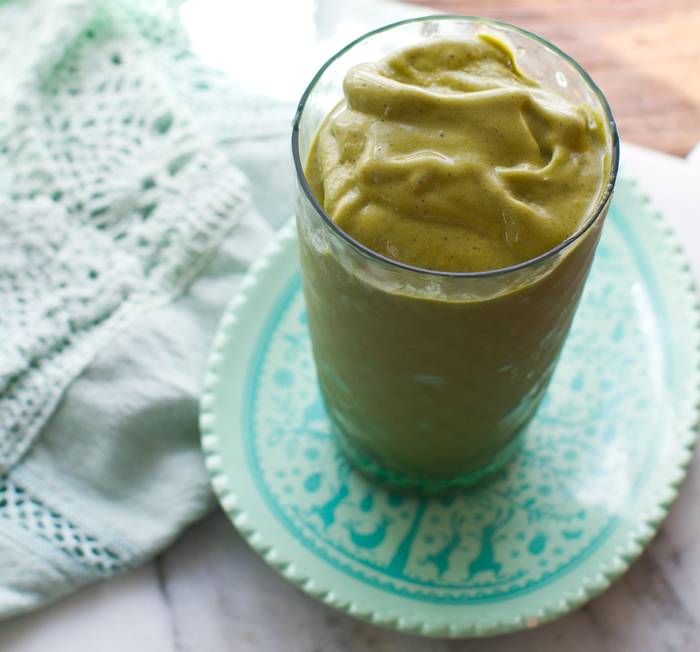 This antioxidant-rich shake tastes like a treat, but is a wellness sip for sure! 5. Chocolate Strawberry Banana Shake. Chocolate covered berry flavor via a plant-based shake. 6. Almond Butter Banana Shake. Energizing and delicious! 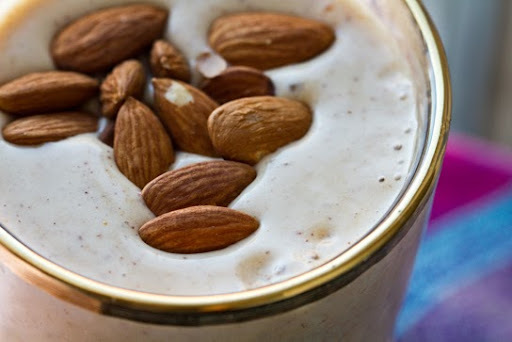 Almonds and bananas make for a wonderful go-to shake when you want energy or just a sweet treat. 7. Double Chocolate Chip Shake. This double chocolate shake is for the chocolate lover! 8. Calm Chamomile Banana Shake. This calming shake will slow you down and ease your mind and body with the power of chamomile blossoms. 9. 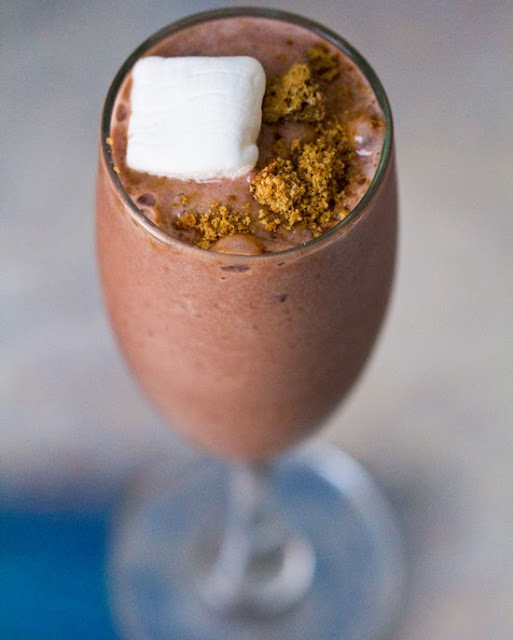 Chocolate S'mores Shake. Chocolate meets vegan marshmallow and graham flavor. 10. 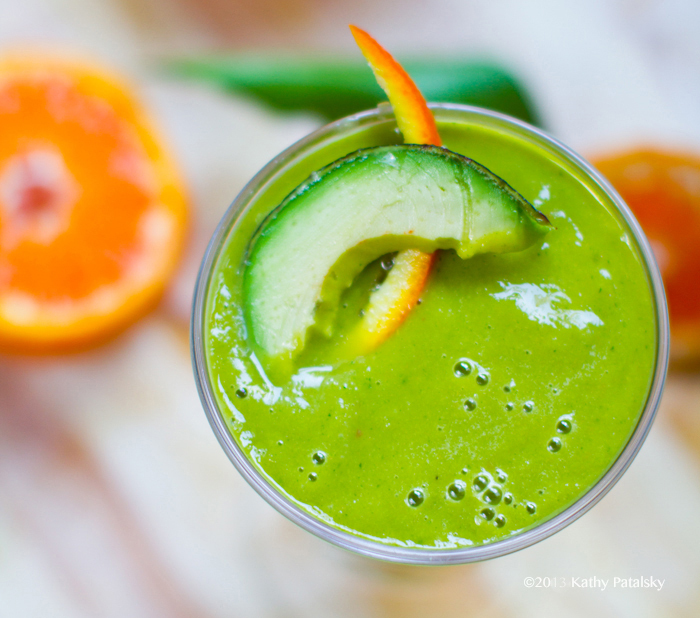 Sweet Citrus Avocado Dreamboat Shake. Or smoothie. This green blend with citrus flavors will make you swoon. This sip is more of a smoothie, but so rich from the avocado that you can easily call it a shake. 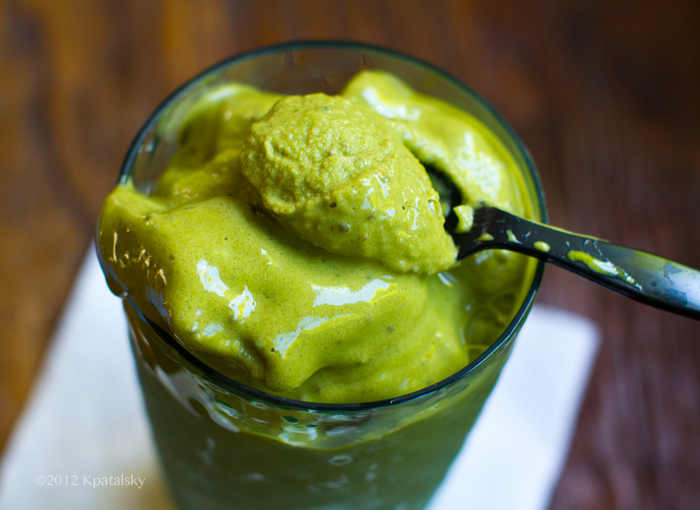 Must try for green smoothie lovers! 11. 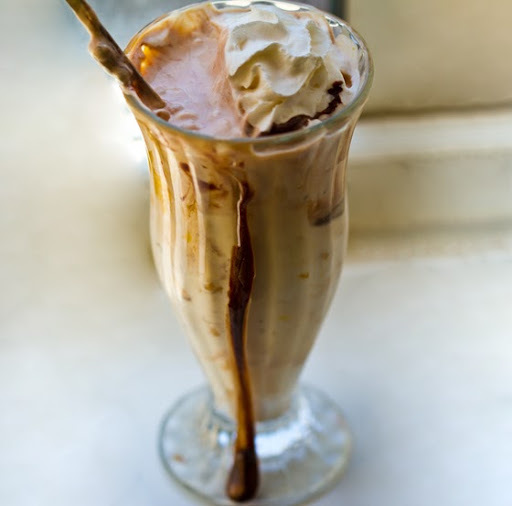 And lastly, a dessert shake recipe!.. Directions: Hand mash the ice cream, soy milk, fudge and 1 Tbsp of peanut butter. Mash until a malt-thickness forms. Then top with another scoop of peanut butter, soy whipped cream and some extra fudge sauce if desired. Serve with a tall spoon. And a very funny "vegan shake" in Justin Timberlake's SNL skit "Bring it on Down to Vegan-ville"
Want 365 vegan smoothie and shake recipes? Secure your copy of my new book 365 Vegan Smoothies! Fan on Facebook for updates!